Three government ministers, five creative agencies and a building company are among the latest to pledge support to a campaign to end homelessness in Scotland. Deputy First Minister John Swinney, Communities minister Angela Constance and Kevin Stewart, minister for housing, have agreed to take part in Social Bite’s Sleep in the Park on 9 December. They will join 9,000 people sleeping overnight in Princes Street Gardens, Edinburgh. Others taking part include staff from Represent, The Leith Agency, Taste and Whitespace as well as housebuilder the Cruden Group. Already signed up is Ross McEwan, CEO of Royal Bank of Scotland. Organised by Social Bite co-founder Josh Littlejohn, the event hopes to raise £4 million to help combat homelessness. 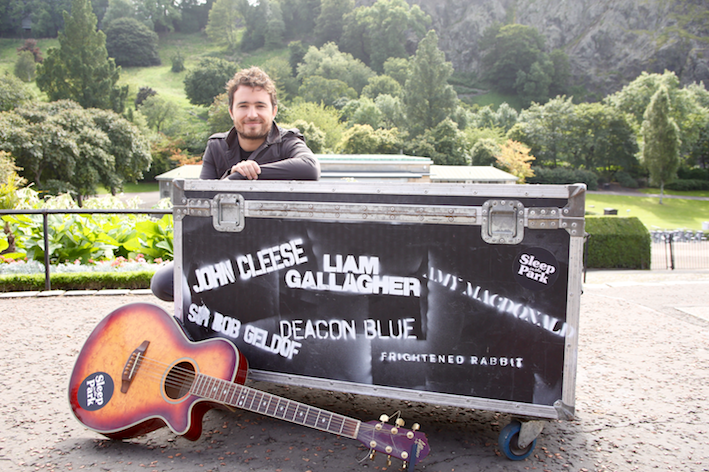 Liam Gallagher, Amy Macdonald, Deacon Blue and Frightened Rabbit will be providing musical entertainment and participants who raise more than £5,000 will also receive a bedtime story read to them by former Monty Python and Fawlty Towers star John Cleese. Mr Littlejohn revealed that 7,000 have already agreed to take part and that half the money has been committed. Members of the public have until 1 December to sign up, gaining entry by committing to raise at least £100. Businesses can sponsor the event by signing up a team of five with a minimum fundraising commitment of £3,000.